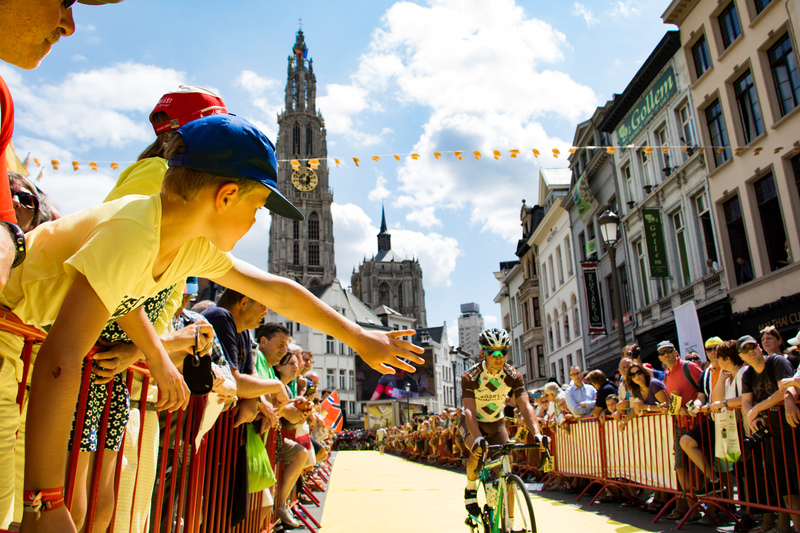 The Cathedral of Our Lady (Onze-Lieve-Vrouwekathedraal in Dutch) served as an excellent backdrop behind the long yellow path to the day’s sign in. Oh yeah, here’s that digital sign in podium I mentioned in the last post. See? Glorified iPad. 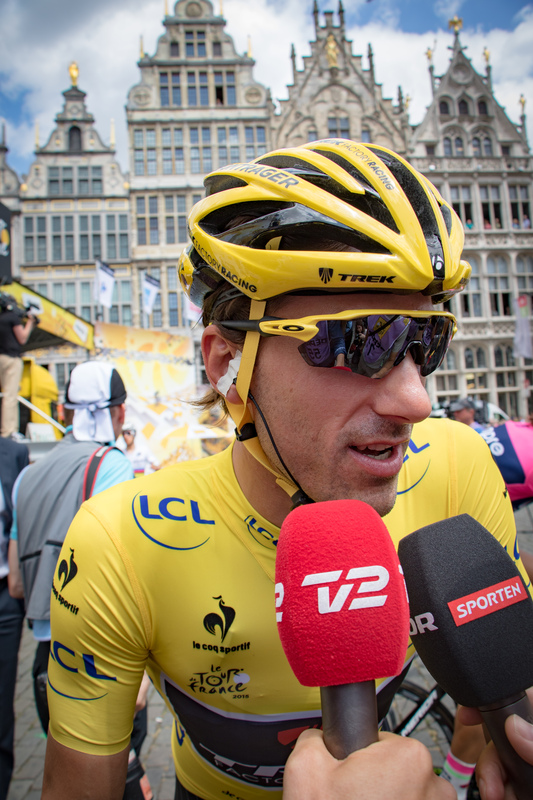 Fabian Cancellara (Trek Factory Racing) looking totally at home in yellow. 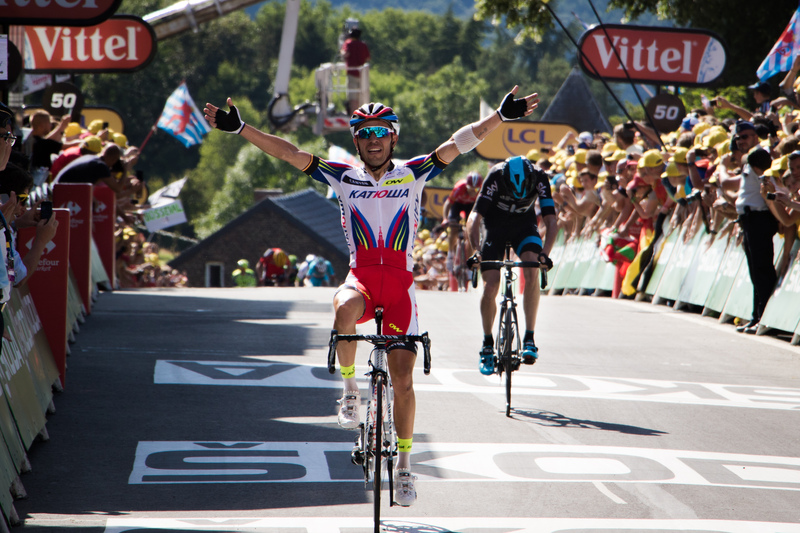 This marks the 29th day in his career he’s worn the TdF leader’s jersey. 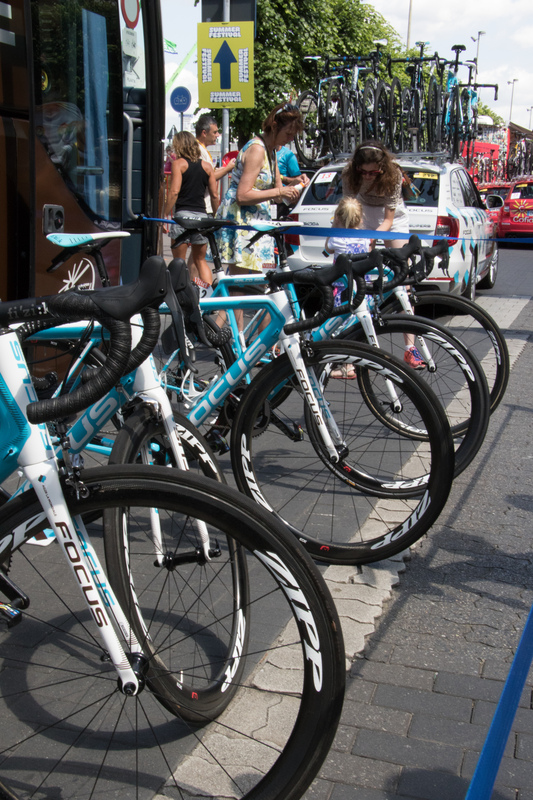 More SRAM news: Luckily, some SRAM reps were on hand for me to chat with at the AG2R team bus. I asked very nicely if I could handle it and test the lever feel/shifting, but was met with a (very nice) “no.” I did ask about its obvious use in the wild despite no formal announcement. SRAM engineer: We expect wide availability by 2016. Me: Oh, so an Interbike announcement then? SRAM engineer: …That’s not, uh… that wouldn’t be a terrible guess. Of note, the entire AG2R-La Mondiale team is riding the electric group for the Tour. 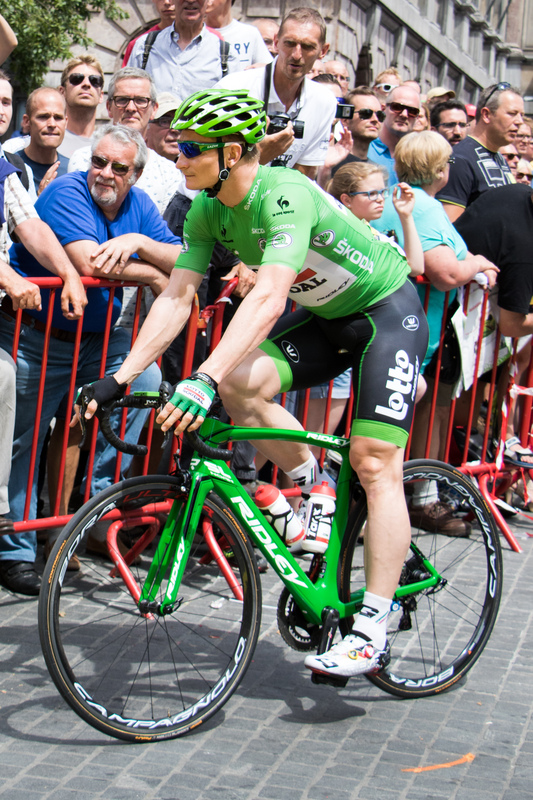 At the Giro, only Pozzovivo was riding it. 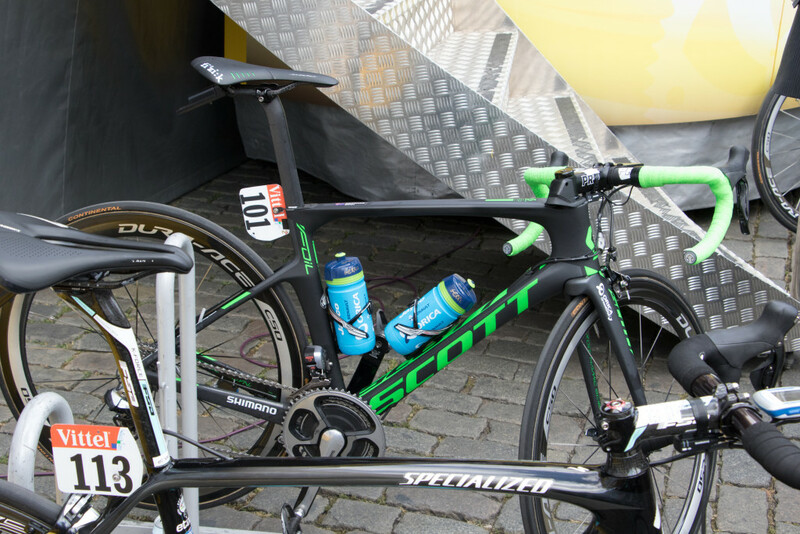 Scott Bikes: New FOIL spotted. You know how it looks in photographs? I’m sure you have opinions on how it looks in photographs. Well, let’s just say that you’ll probably have those opinions in person too. At some point after the above photo, all hell broke loose. 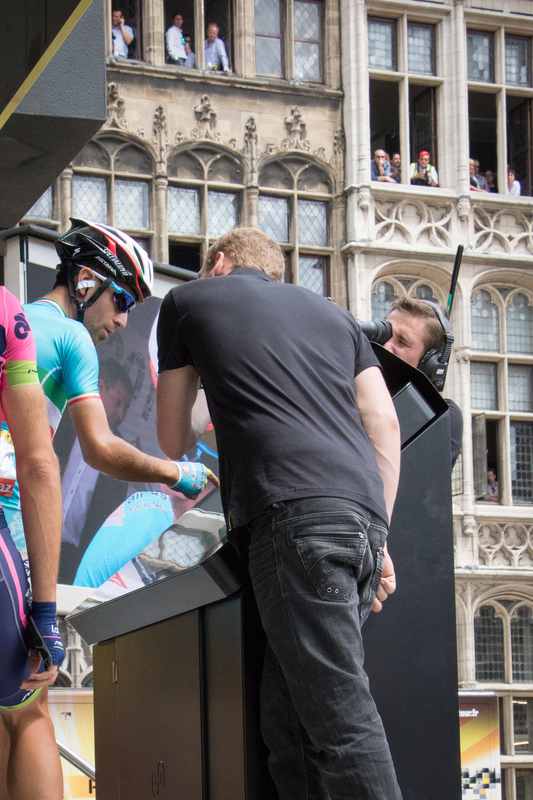 I watched live from the press center as an FDJ rider clipped wheels somewhere far up the bunch, and domino’d several riders down with him at around 60k to go. Too many riders to count went down at speed, with Cancellara looking the most visibly injured of all. 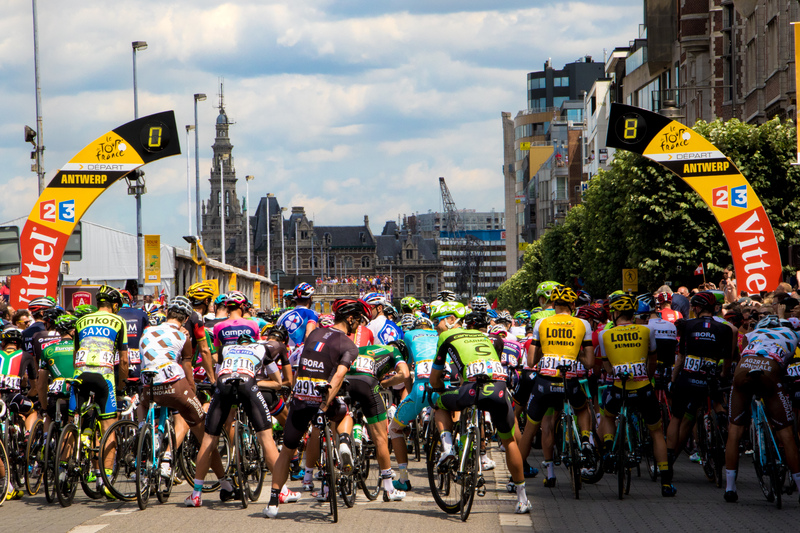 The crash was so bad, the race organizers neutralized the field to a stand-still for 20 minutes, as there was no longer adequate medical staff on hand to continue racing. Once the field started moving again, the race was neutral to top of the Côte de Bohisseau with 50k to go. TV visuals showed several riders with very torn up kits and some gnarly road rash. 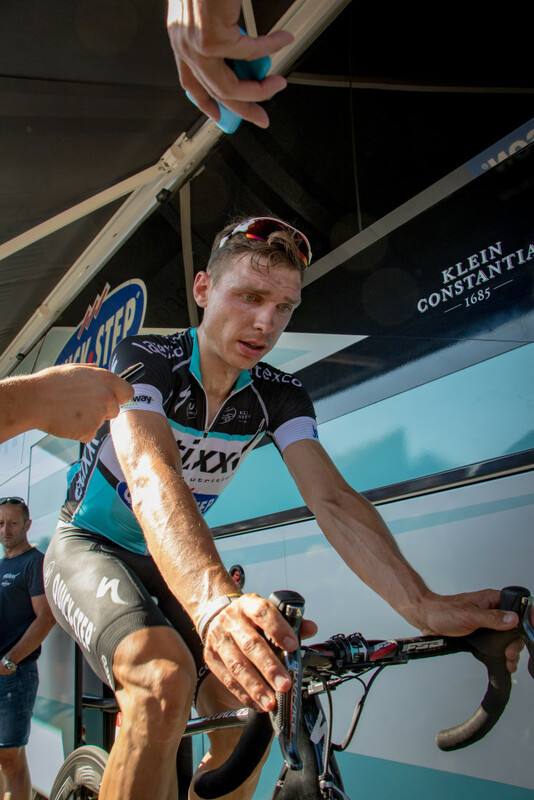 Lotto-Jumbo even reported that Laurens Ten Dam suffered a dislocated shoulder, popped it back in, and kept racing. METAL. 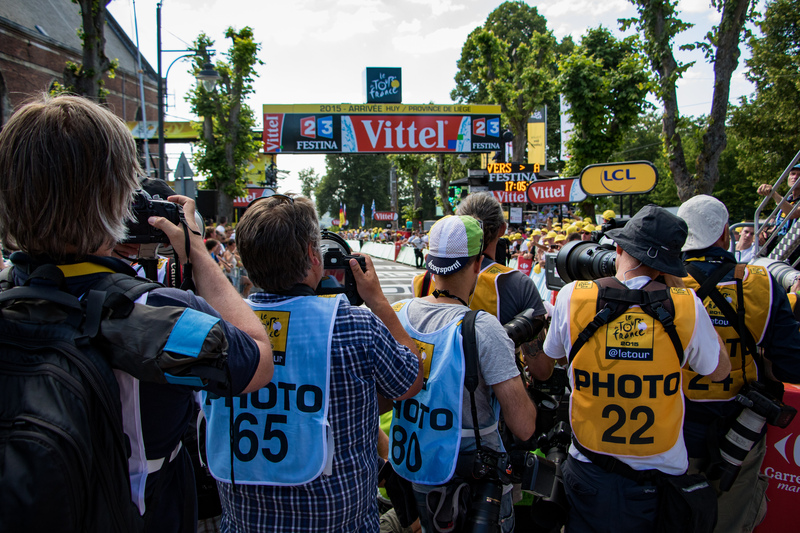 With about 40k to go, the race was back on, with Astana and Tinkoff-Saxo driving a split between the group. To my knowledge, no major GC players were caught out by the split, but the second group did include Cancellara who would go on to lose too much time to keep the jersey. Towards the finish, the Côte de Cherave thinned the herd a bit. 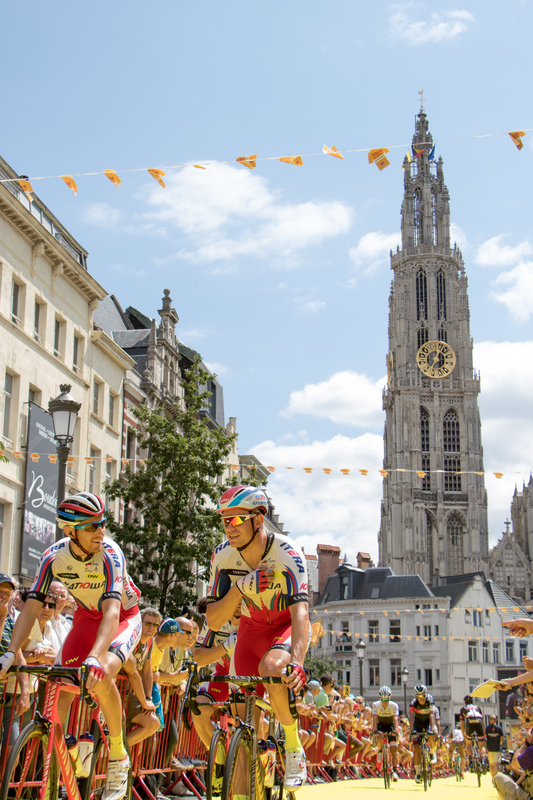 As the pack hit the Mur de Huy, Katusha set the pace, with Gianpaolo Caruso working for Joaquim Rodriguez. 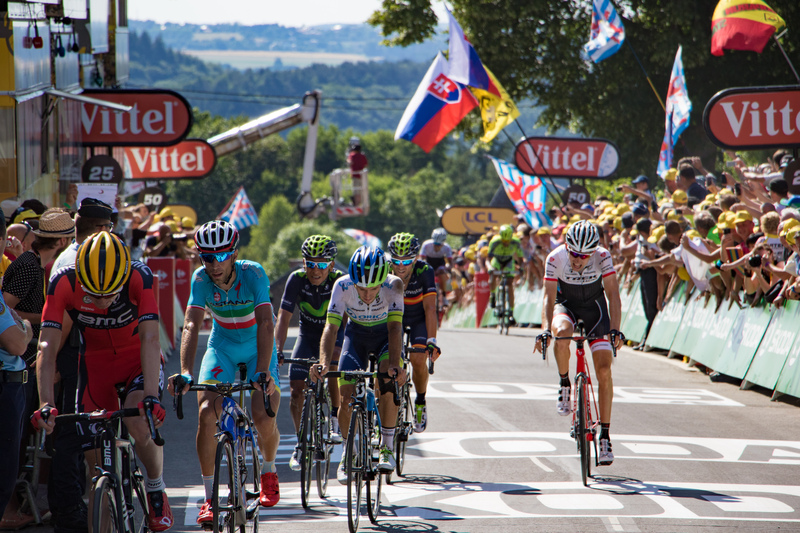 At around 500m, Chris Froome (Sky) went to the front and began to push the pace, but not outright attack. At 400m to the finish, Rodriguez hit the gas, and that was that! 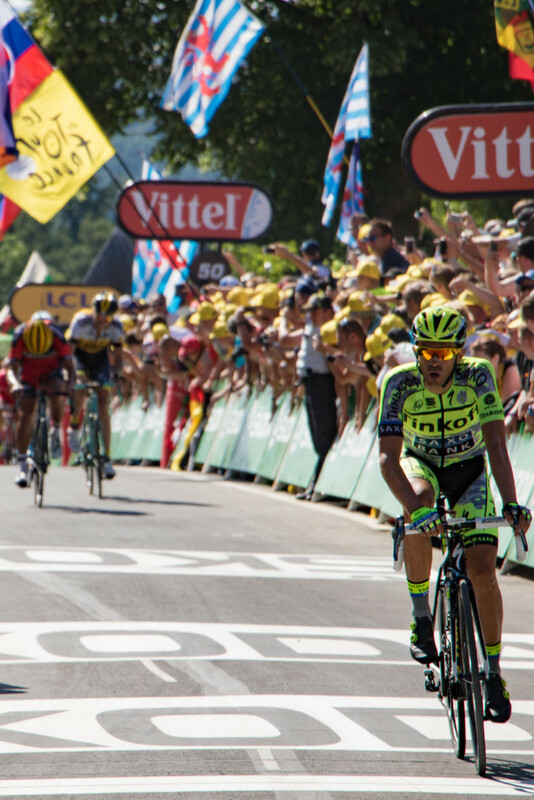 Froome was able to hang on for a same-time placing, but Rodriguez was able to post up with room to spare. 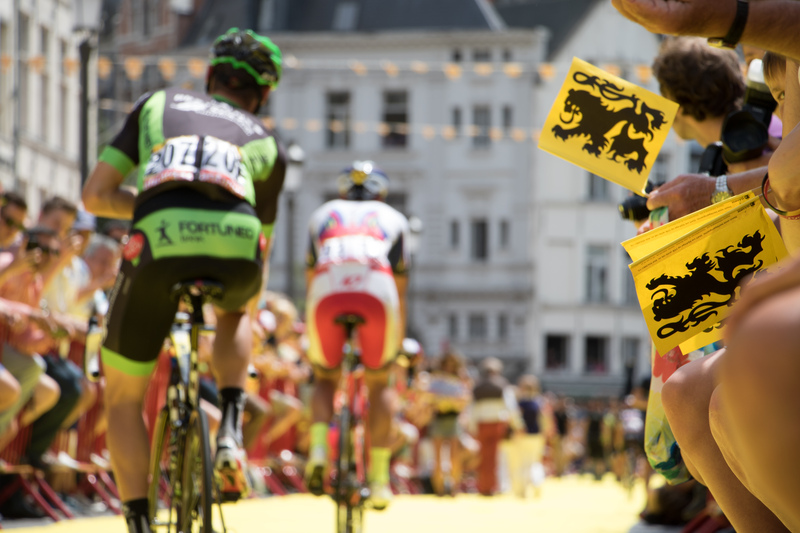 While Froome did not get the stage win, his time gain was enough to place him in yellow. With Duomolin out, Sagan is now in the white jersey. Definitely wasn’t missing the finish, today. Most of the other GC contenders finished 11” back, including Tejay van Garderen (BNC), Vincenzo Nibali (Astana), Nairo Quintana (Movistar), and Alejandro Valverde (Movistar). 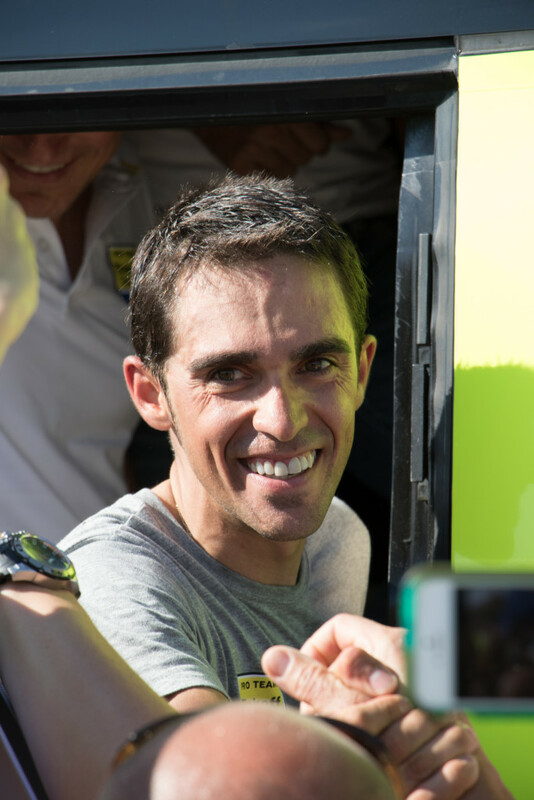 Alberto Contador (Tinkoff-Saxo) finished 18” back. 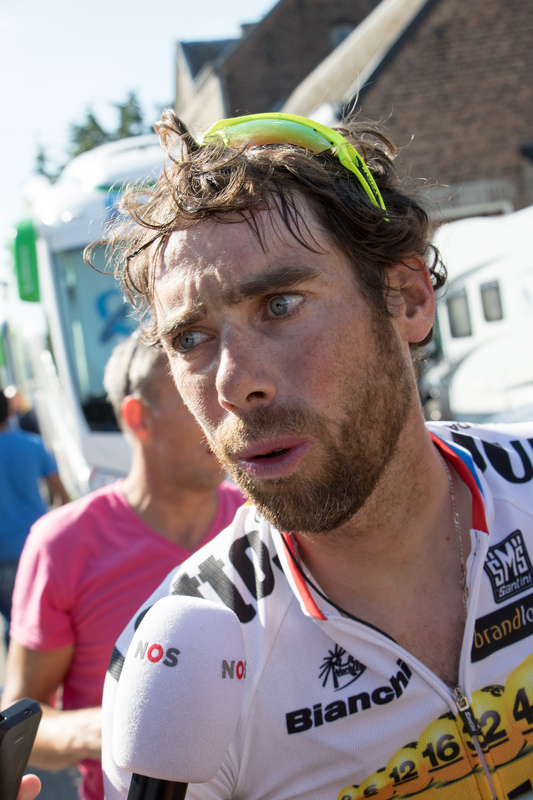 I skipped the podium ceremony today in favor of getting some rider reactions at the team busses. 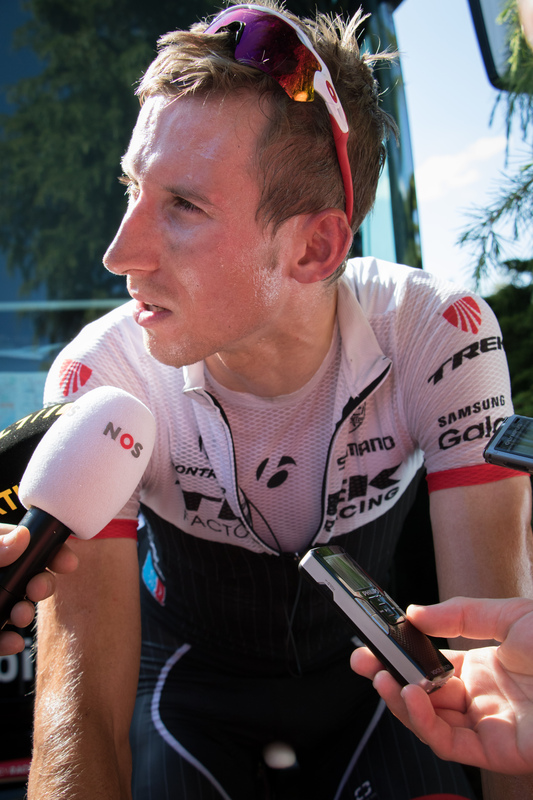 Bauke Mollema (Trek Factory Racing) looks beat, and discusses the Cancellara’s crash and the loss of the yellow. 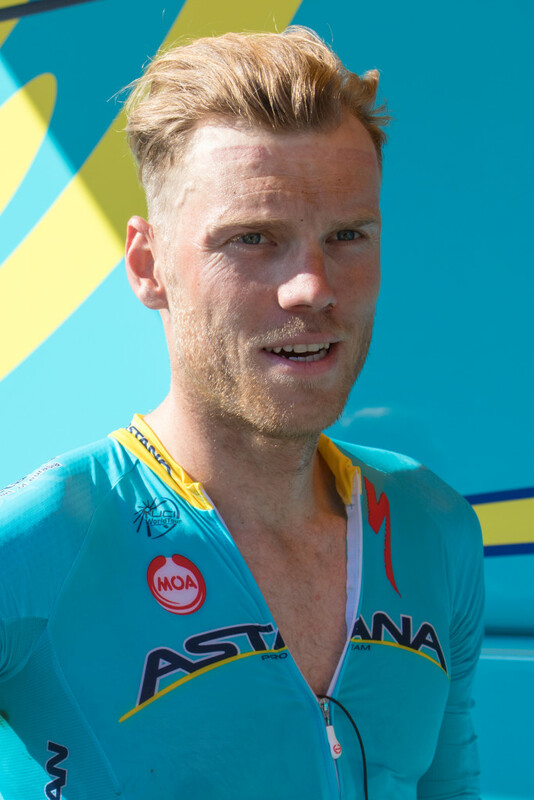 Lars Boom (Astana). Still racing.